Lace dresses are still going strong with so many ways to wear it. Whether you're fashion-forward, classy or edgy chic, there are many different styles of dresses available. Different shapes and silhouettes come into play when wearing lace dresses. From casual to a night out, the possibilities are endless. A trend this season is cream lace dresses (here are some great options for you). Its vintage, boho feel is a huge fashion trend this summer. It makes quite a statement teamed with bold accessories for the perfect date night or even a girls night out! Free People have some great choices here. Pulling off a casual, day-to-day look is super easy. Choose a shorter length lace dress and pair it with tan accessories for the perfect casual look. 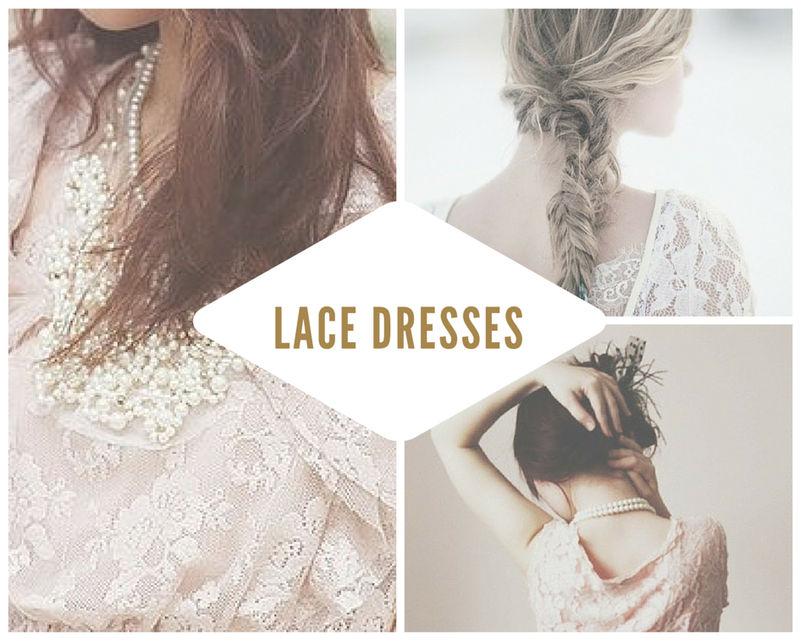 For more inspiration on lace dresses, Pinterest has got you covered! Love this! I am literally obsessed with anything lace. Love lace as well!! So fun!! I want my wedding dress to be lace. It's just so beautiful! loving lace dresses right now! especially cream ones!